Bali first timer visitor would often visit Kuta/Legian because it's cheaper compare with Nusa Dua, Ubud or Jimbaran, there's a lot of bars, cafes, and store, so it will be easy for you to buy both local or international goods only by walking and enjoy the atmosphere even until midnight because Kuta is never sleeping and most important thing, most of the spots in Kuta is "Uber" friendly, not like in Canggu or Seminyak. 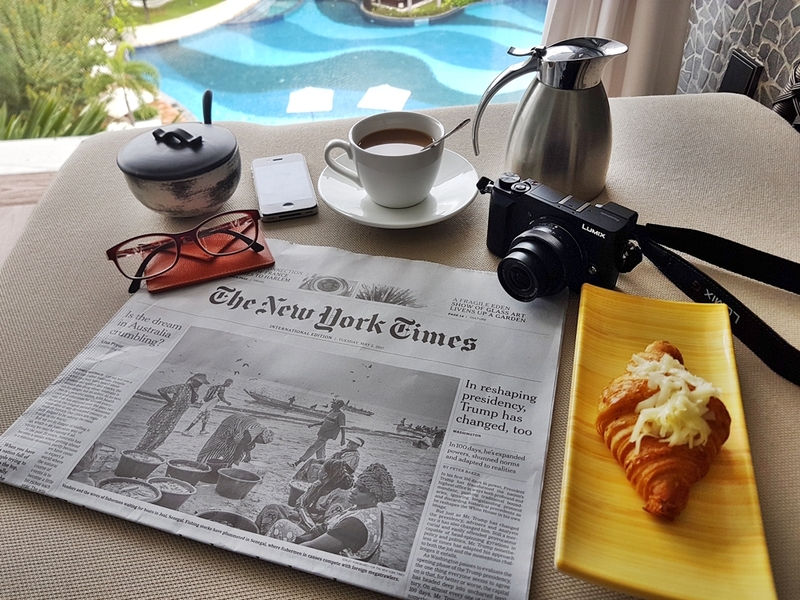 But talking about how much crowded Kuta is, you can still hiding from its bustling Kuta vibes, The Stones Hotel is one of the most comfortable choices in the area even when there is a holiday season because in Kuta, everything you need and in walking distance. But the stones offer you a hiding place with summer pool experience, easy afternoon drink, quite dinner with live music without any noise from another venue that sometimes annoyed the mood. For me, The Stones Hotel Bali is my personal choice to be among touristy center where I can exploring city at night by walking, or even in the morning there will be a bunch of tourists already there to have a good fun time, or if decided to stay enjoy the hotel, the pool was not over capacity because it's the biggest pool in Kuta/Legian and you still can get your personal space. If you want more personal, there are cabanas you can choose, a great spot to enjoy the pool view, book and drinks. You exchange the cabana spot with some drink or food that you need to buy, it wasn't that hurt because what kind of summer pool without a great drink isn't it? and please don't be basic by order a Long Island Ice Tea lol. I got very refreshing herbal Butterfly Pea flower cocktail, that you can order too because it beautiful colors that represent your summer vibes (if you want my drink, you can show this pictures to the bartender, since I asked them to give the beautiful and refreshing drink for me, because I won't thinking too much hahaha) and great antioxidant, also great for digestion too. Why? because when you are on vacation, either you eat less than usual or too much eating. Stay at The Stones Hotel Bali is worth to try, especially the Pool that I can say the best hotel pool in Kuta area, where you can also get an ice popsicle or cold fruits skewers in the middle of the day (you see the staff on the rubber boat? He was serving it fruity ice lolly for you to enjoy in the middle of a sunny day in Kuta. "Your stylish resort escape awaits you here in Bali. 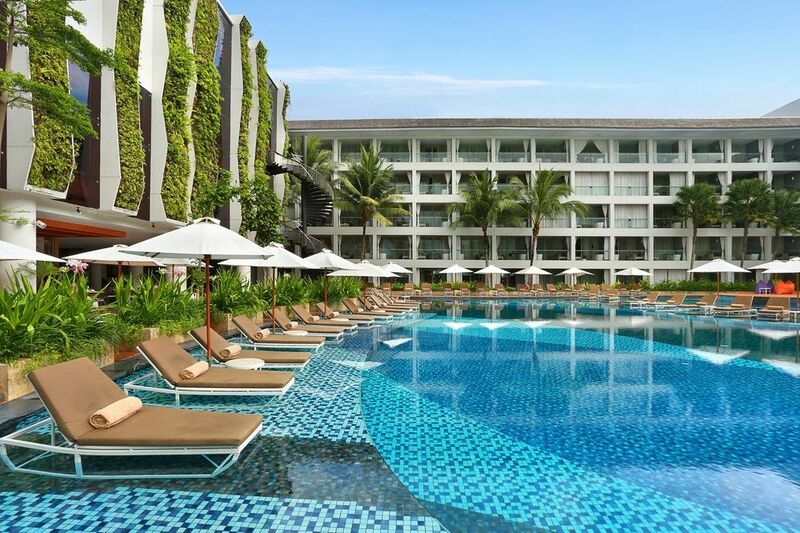 Boasting exquisite design, luxurious accommodations and a wealth of world-class amenities, the award-winning The Stones Hotel - Legian Bali, Autograph Collection delivers a truly unforgettable experience. Relax in the comfort of your elegant accommodation, which includes deluxe bedding, free Wi-Fi, in-room espresso machines and striking marble bathrooms with rainforest showers. Enjoy modern International cuisine, fresh-caught seafood and authentic Indonesian dishes at our stylish on-site restaurants, or relax at our resort-style pool, surrounded by cabanas, an entertainment deck and vertical gardens. Pamper yourself at Celestine Spa, or plan an event in our 25,000 square feet of venue space. Last but not least, our exceptional location, on the southern tip of Legian Beach, places everything from surfing to shopping and entertainment well within your reach. 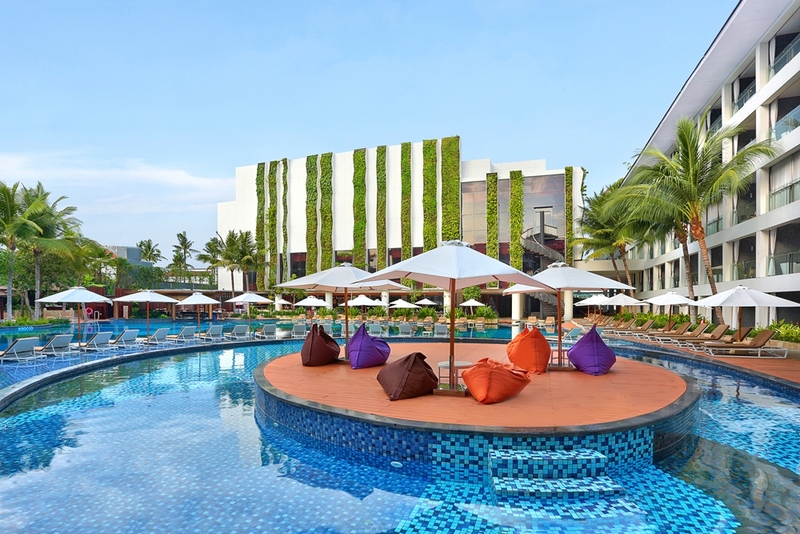 Let The Stones Hotel - Legian Bali, Autograph Collection provide a welcoming oasis for you in Indonesia."